Does Xi Jinping’s Power Grab Have Silver Lining For World? – OpEd - Integration Through Media ....! 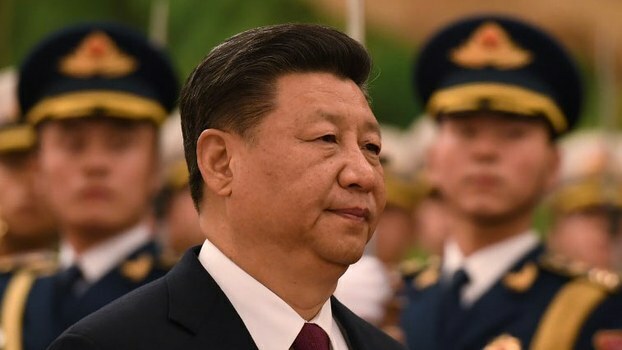 Since he took power in China in 2013, Xi Jinping has been using an anti-corruption campaign to get rid of political rivals, infusing the ruling Politburo with his cronies, smashing dissent, and sinking the tentacles of the state further into the Chinese economy. He has now culminated the transition from collective autocracy into one-man rule by removing term limits on his tenure as China’s leader. Such moves are a retrogression from Deng Xiaoping’s reforms, beginning in the late 1970s, which partly freed the economy from the complete state ownership of Maoist communism and established a regular leadership turnover, so that no future leader could establish a disastrous Mao-like cult of personality ever again. Deng’s reforms are responsible for China’s economic miracle. Because the West naively hoped that China’s economic progress and integration with the world would lead to political liberalization, Xi’s rollback of Deng’s reforms, including Xi’s abolishment of leadership term limits, has come as a rude shock. Yet even though it is true that societies usually need to achieve a certain level of wealth to sustain democracy, it is only a necessary but not sufficient condition for political liberalization. Those analysts now fear that because China is now ruled by a dictator, Xi will become more aggressive in foreign policy. However, the opposite could occur. American policymakers and its populace regularly mistakenly correlate internal repression with external aggression. Going back to ancient Greece, democratic Athens was the aggressive party, not autocratic Sparta. If Xi succeeds in his quest to become emperor for life, he may become more immune from nationalistic public opinion—and thus less assertive abroad—than if he had taken the opposite course. Even if China would become a liberal or illiberal democracy, it could become more aggressive in foreign policy to satisfy the nationalism of its population—as elected U.S. presidents have done throughout American history. After World War II, in terms of military and covert meddling in the affairs of other nations, the democratic United States empirically has been the most aggressive country in the world. In addition, the democratic British and French Empires were also very rapacious overseas. Anti-China hawks talk of the future Chinese threat by warning of increased Chinese defense budgets and territorial claims in nearby areas. Yet the much wealthier United States has outspent China for decades on defense by vast sums (the United States still spends three times what China does), which has a cumulative effect on national military power; in contrast, China is still only a regional power that has trouble projecting power even in the East Asian area. Such analysts skirt over those facts and focus on China’s $1 trillion initiative to help countries build infrastructure in Asia, Europe and Africa as being truly sinister. However, this government-driven spending in search of “global influence” merely is a drain on Chinese resources, with little in return to show for it (except perhaps in the economically backward and strategically unimportant countries of Cambodia, Rwanda and Thailand). More generally, Xi’s movement away from Deng’s freeing of the economy, reinserting state regulation and control, will very likely lessen Chinese growth rates—and thus China’s future power. Xi’s building of “strategic industries,” increased interference in private companies, and state-sponsored mercantilism to get more foreign market access for Chinese firms, while restricting foreign concerns in China, hasn’t worked in other countries and it won’t work in China either. China will likely be economically weaker under Xi than under prior, term-limited leaders who generally followed Deng’s pioneering policies. President Trump’s economically illiterate response to Xi’s mercantilism seems to be to make the United States poorer too by imposing tariffs on Chinese goods and limiting Chinese investment in U.S. technology—thus perhaps starting a commercial war. Under Xi’s dictatorship, China’s path back toward being a Third World country in both political and economic terms—when combined with China’s aging population, environmental pollution, regional separatism, heavily indebted private and state-owned companies, and soaring public expectations requiring high economic growth rates to perhaps avoid revolution—is bad for the Chinese people but could limit Chinese future power and the threat it poses to the United States and the world. Instead of active economic or military policy against China, the Trump administration would be better served to adopt a wait-and-see posture.